.37 acre lot just off Hwy 150 and within easy walking distance to the Pacolet Amphitheater by the Pacolet River (car shows, music, etc.) and a nice level building lot (no mobile homes allowed). For more information, please call John at (864) 590-2853. 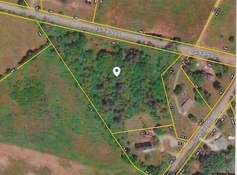 2.50 acres in the Andrews Farm area of the Southern edge of the City of Spartanburg on a cul-de-sac road. Owner financing will be considered! The Restrictive Covenants requires site-built home to be a minimum of 2000 SqFt. For more information, please call Jay at (864) 621-8080. .21 acre cul-de-sac lot in Woodfin Ridge Golf Community! This is the last lot in the Tuscany Section of Woodfin Ridge. Sloped, good basement lot in quiet cul-de-sac. Woodfin Ridge has a golf course, pool, tennis courts, club house with restaurant. For more information, please call Randy at (864) 978-5190. 6.32 acres that are mostly wooded but has several homesite locations and a creek bed along the property. At least one septic tank is on the property (county records show this as a residential mobile home lot). Location is convenient to shopping and other areas of interest, yet still has that out-of-the-way country feel to help you get away from it all when you come home! For more information, please call Teena B. at (864) 463-3675. This large acreage tract is very close to Hwy 110 and not far from the Cowpens Battleground site. 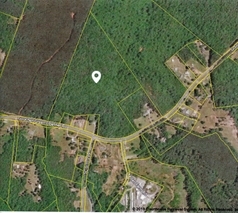 Great property that include 4 parcels, mostly level and has public water and electric available. Septic tank system would be required. Located in Cherokee County, the schools are actually in Spartanburg County's School District 2 (Chesnee Elementary, Middle and High). Going North on Hwy 221, bear right onto Battleground Road. Road changes name to Piedmont when you cross the county line and the property is on the right (before you get to Hwy 110) at McGinnis and also down McGinnis Road on the right is a good acre entrance to the property. For more information, please call Gwen at (864) 580-9861. 32.83 Acres at 1130 Goucher Green Bethel Rd, Gaffney, SC 29340, but actually really close to Pacolet, SC in Spartanburg County. This property is nearly all wooded except for the land to the left of house at #1122 and also has road frontage between #1102 and #874. It has a nice stream going across the land about half way and mostly runs up behind the 4 houses as per the overhead view. From Pacolet you would take Hwy 150 North toward Gaffney, cross the Pacolet River (horse statue), go to 2nd road on left (Chapel St which becomes Cowpens Pacolet Rd), go 1 mile, right on Timberbrook Rd. At stop sign the land is straight across in fron of you behind #1102. Turn to the left to see the signs by #1122. For more information, please call Frances at (864) 415-0111.